The rooms were excellent and the kitchen was awesome. The bedrooms were nice. Great to have an elevator in the apartment. The apartment was squeaky clean, very comfortable. The host was warm and friendly. Location was excellent for Walking to the fringe and book fair. We would definitely book this again if we ever were in Edinburgh again. Very big and homey! It was perfect for our trip. We had everything we needed, a big kitchen, nice living room, good sized rooms with nice bathrooms. Would definitely recommend. Luxurious stay. Love the roomy spaces of each room. Great value for money. We liked the property. It had everything a family could need. Large apartment with all the amenities. Kitchen was great with wonderful 5 burner stove. Very clean, quiet and comfortable. Temperature control worked well. We really liked the area of town as it was close to the castle but also quiet. Lots of restaurants and groceries a couple of minutes walk away. Parking was very convenient as it was underground in the building . We loved the apartment and would absolutely stay there again. 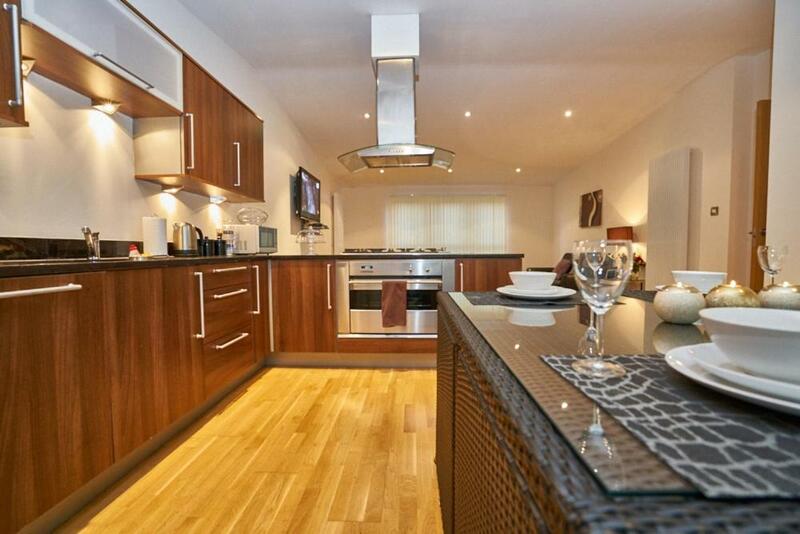 Great location with easy access to many great restaurants. The key pick up was completely easy-the property owner was waiting on us when we arrived. Very easy to walk to local attractions such as the castle, or catch a taxi. Taxi service had no problem locating the apartment. The cost of the taxi was very low, even traveling to the airport. The apartment was very modern with a great view (being on the fourth floor). The kitchen was stocked with utensils and cookware. The bathroom was clean and spacious. My family had a great stay and we would stay again if travel back to Edinburgh. 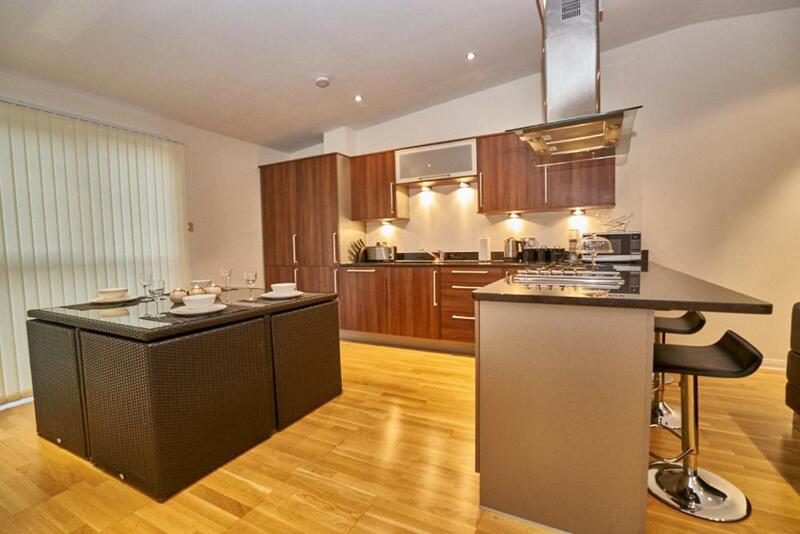 Location, size, value, very modern fittings and all the extras like dishwasher tablets & washing liquid. Parking is fantastic and safe! 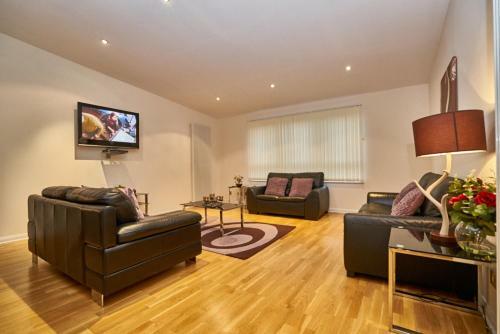 Lock in a great price for Edinburgh Pearl Apartments - Lochrin Place – rated 8.9 by recent guests! Edinburgh Pearl Apartments - Lochrin Place This rating is a reflection of how the property compares to the industry standard when it comes to price, facilities and services available. It's based on a self-evaluation by the property. Use this rating to help choose your stay! 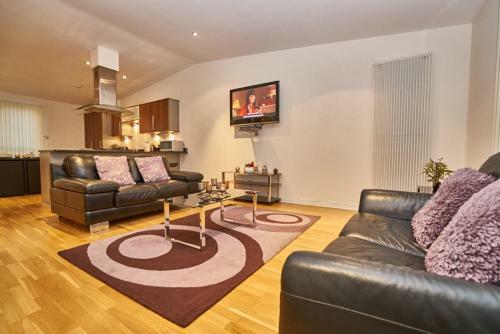 One of our top picks in Edinburgh.In downtown Edinburgh, these modern apartments offer free private parking and free Wi-Fi. Princes Street and the Royal Mile are less than one mile away. 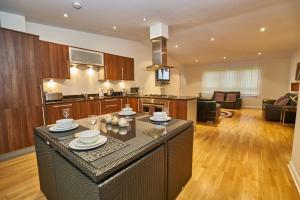 Edinburgh Pearl Apartments - Lochrin Place have fully equipped kitchen/dining areas and balconies. The spacious lounges have widescreen TV and a DVD player. Bedding and towels are included. Major festival venues and theaters are nearby. The Edinburgh International Conference Centre (EICC) is 2,100 feet away. 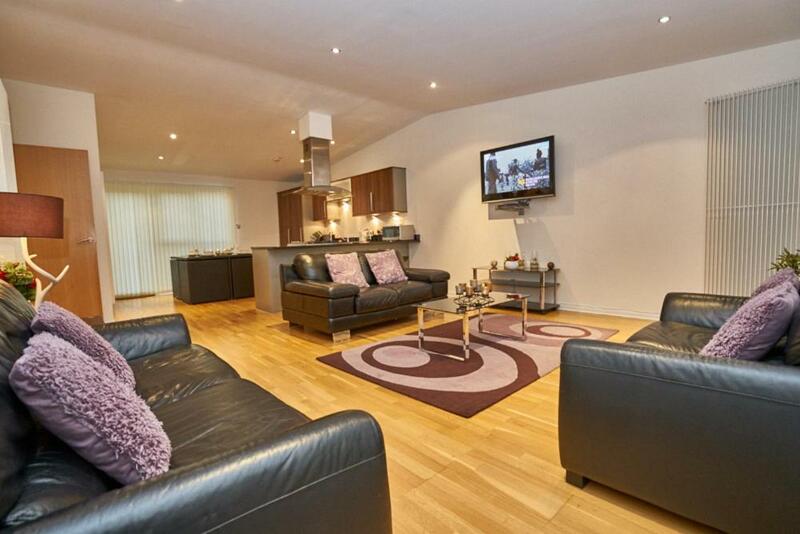 뀐 Located in the top-rated area in Edinburgh, this property has an excellent location score of 8.9! 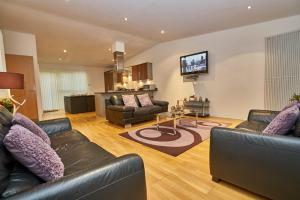 When would you like to stay at Edinburgh Pearl Apartments - Lochrin Place? Each of these apartments has 2 bedrooms and can easily accommodate up to a maximum of 6 guests, with the addition of 2 sofa beds. The main bedroom has a double bed and private bathrooms. The remaining bedroom has 2 single beds. This luxury penthouse apartment has 2 bedrooms and can easily accommodate up to a maximum of 6 guests, with the addition of 2 sofa beds. The main bedroom has a shower and a bath. The apartment has a balcony with superb views of Edinburgh Castle. 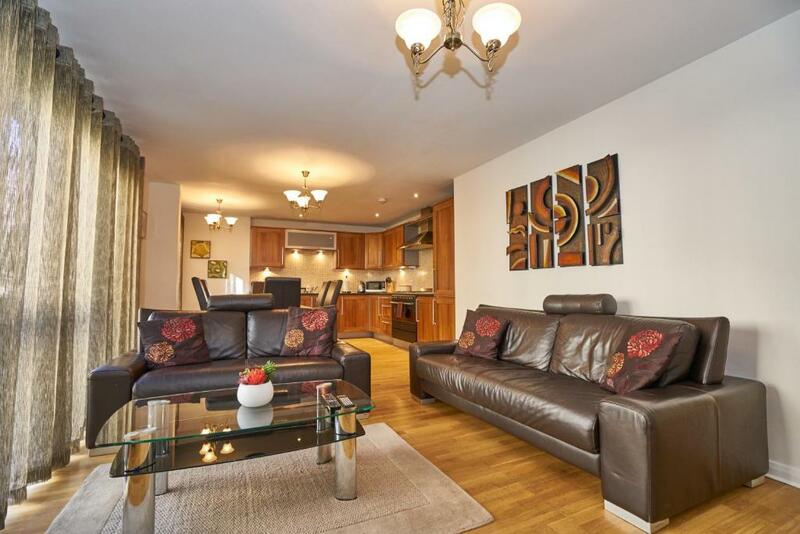 This luxury penthouse apartment can easily accommodate up to a maximum of 6 guests. 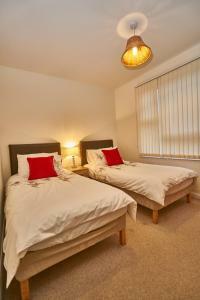 2 of the bedrooms have one double bed each and the third bedroom has 2 single beds. The master bedroom has private bathrooms with a shower and a spa bath, as well as twin washbasins. House Rules Edinburgh Pearl Apartments - Lochrin Place takes special requests – add in the next step! A GBP250 damage deposit is required on arrival (around USD325.24). This deposit will be fully refunded 7 days after check-out, as long as there isn't any damage to the property. Edinburgh Pearl Apartments - Lochrin Place accepts these cards and reserves the right to temporarily hold an amount prior to arrival. Please note that you should call the apartment management at least 15 minutes before arrival in order to arrange key pick-up and entry to your apartment. Contact details can be found on your booking confirmation. 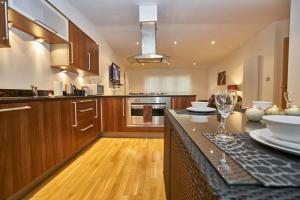 The property does not accept stag or hen parties or any similar types of groups. The property requires the ID of the person who booked to be supplied upon arrival. A damage deposit of GBP 250 is required on arrival. That's about 325.24USD. This will be collected by credit card. You should be reimbursed within 7 days of check-out. Your deposit will be refunded in full by credit card, subject to an inspection of the property. The nice apartment was let down by the old vertical blinds that kept falling down and provided no sun block at all so the family was woken pre dawn around 530am each morning. Addition of some simple block out curtains is all that is needed. Also the beds were quite hard. The heated towel rack in the main bathroom didn't work for most of our stay. The carpets were stained in the bedrooms. Location ,decor ,security ,meeting the owner, cleanliness, kitchen, lift. The water supply in the area was off for the last morning so wasn't great, but not the fault of the apartment. Mattress was a bit soft for me but that’s my taste! I had to ask my brother to collect the keys because office closes at 7pm. Also no information where to leave keys when leaving as my flight was at 8am - office wasn’t open. Really comfy couch really warm & great location. The beds weren't the comfiest and there were a few things which needed either updating or a good clean to look nice again. The host also mentioned lots of break-ins recently which made one our guests uncomfortable staying there. The apartment was very spacious and had more than enough room for our group of 4. Private secure parking underground was great. No dislikes - it was all good. We loved the spaciousness of the apartment and felt really at home as it was very well laid out for a mixed group like ours of various ages. The beds were extremely comfortable and the whole apartment was spotless. It was particularly cold when we were there but it was always lovely and cosy in the apartment. So we would definitely recommend it to our friends and hope to return again to Edinburgh sometime and would book this if available. Family run business, service and communication excellent, thank you! We had to wait a quarter of an hour for the keys. The internal apartment doors are sprung-loaded: noisy. The TV/DVD equipment is antiquated. There is no coffee maker; neither capsule, filter nor cafetiere. The apartment was acceptable, but didn't seem to have been thoroughly cleaned. The apartment was spacious with enough seating for all, and the location is good. The kitchen area is well appointed and equipped. Would be nice to have a few more specials on room rates. Lovely bar area with friendly staff. Some milk would have been nice for a cup of tea on arrival. But the shops weren't too far away. Owners were very kind and helpful. Apartment was spacious, clean and tidy. Lovely and quiet area, 10 minutes walk into city centre.